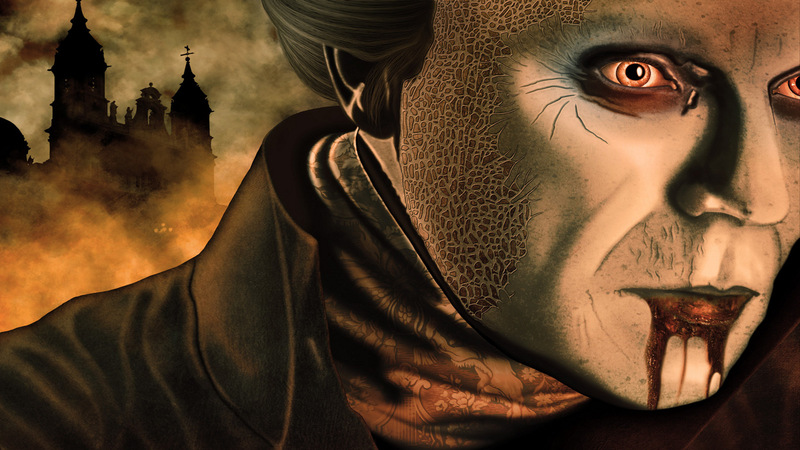 Краткое описание: In the game the player takes on the role of Jonathan Harker. Throughout the levels, Abraham Van Helsing will help Jonathan in his quest by providing advanced weapons. With the exception of the MS-DOS version, the game is of the side-scrolling genre. 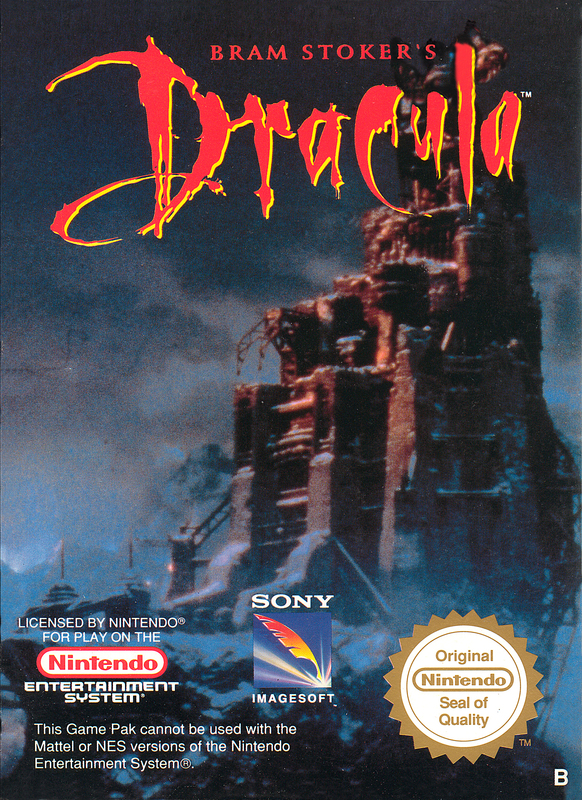 In the game, Jonathan Harker fights Lucy Westenra as a vampiress, Count Dracula's three brides, Dracula's coach driver, Dracula's fire-breathing dragon, Renfield and even Dracula himself and also in some different forms, such as him in his bat form, his young form and his evil wolf form. Levels in the game include the Romanian countryside, a rat-infested old village inn, Dracula's castle, Dracula's cavernous vaults, Dracula's misty catacombs, various locations in London, Lucy's crypt, a graveyard and Carfax Abbey. In the game the player takes on the role of Jonathan Harker. Throughout the levels, Abraham Van Helsing will help Jonathan in his quest by providing advanced weapons. 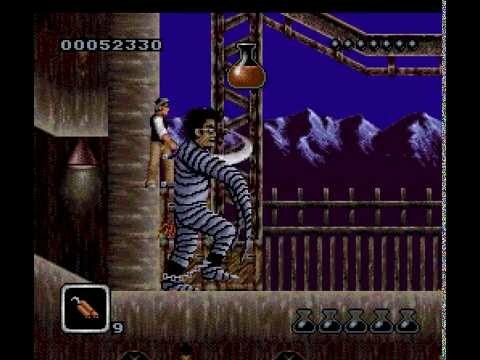 With the exception of the MS-DOS version, the game is of the side-scrolling genre. 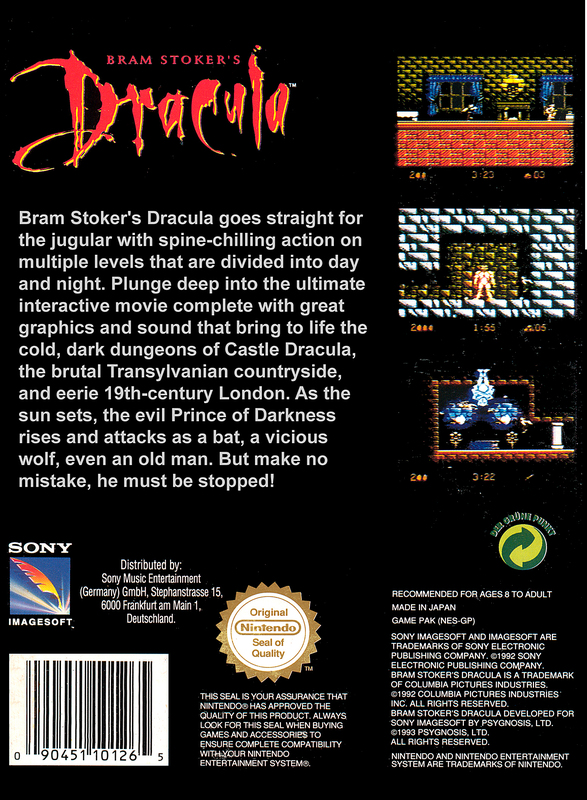 In the game, Jonathan Harker fights Lucy Westenra as a vampiress, Count Dracula's three brides, Dracula's coach driver, Dracula's fire-breathing dragon, Renfield and even Dracula himself and also in some different forms, such as him in his bat form, his young form and his evil wolf form. 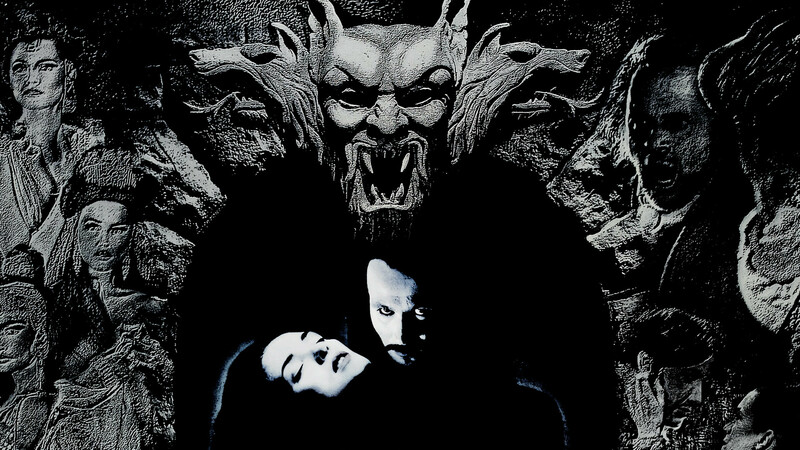 Levels in the game include the Romanian countryside, a rat-infested old village inn, Dracula's castle, Dracula's cavernous vaults, Dracula's misty catacombs, various locations in London, Lucy's crypt, a graveyard and Carfax Abbey.